There’s been a lot of euphoria, I think mistaken, over the recent research findings evaluating the Mediterranean diet. (See my earlier post, “On the New Mediterranean study: Proceed with Caution” [March 1, 2013.]) Not only was the alternative low fat diet administered in pedestrian fashion, e. g., inadequate counseling, but a substantial number of those on the Mediterranean diet suffered heart attacks or strokes. We need to remember that none of the participants had a history of either at the outset of the experiment. But let me be fair. We’re all different and there’s no plug-in diagnostic that’s going to yield a universal physical metric. This applies to diet, surely, and explains the plethora of approaches which work for some, but not others. What we do know is that following a diet that emphasizes complex carbohydrates, low sugar, minimal saturated fats, and plenty of nutrient dense fruits and vegetables along with reduced sodium intake is beneficial. The Mediterranean diet thus moves in the right direction, but would be even more effective were it to reduce meat and dairy product content. We might then see not only reduction in coronary disease, but its reversal, which truly low fat diets (10% consumption of total calories) have consistently demonstrated in extended government studies. 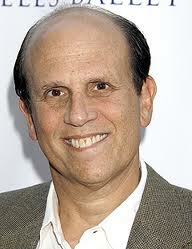 But let me bring up the Michael Milken story. Do you remember him? One of Wall Street’s top investors, he was indicted by the government in 1989 for racketeering and securities fraud and served 22 months in prison. What followed is a story that moves us with its redemption. Worse than prison, Mike was diagnosed in 1993 with Stage IV prostate cancer at just age 46. Biopsy indicated it had metastasized and spread to his lymph nodes; consequently, his doctor advised that his scheduled prostatectomy wouldn’t save him. Mike responded where others might have given-up, launching vigorous research, founding the CaP Cure foundation, and making major changes in his diet by adopting a nonfat, vegetarian regimen. For Mike, a typical diet will feature mushroom barley soup, a tofu mock egg salad sandwich replete with tofu, carrots and lettuce, and a black bean and corn salad, accompanied by a soy drink. Mike also founded and heads the Prostate foundation, working closely with Major League Baseball and matching every donated dollar. It’s now 20-years since that fatal diagnosis. Mike? He’s still out there going strong and giving hope to thousands. You’ll find many of Mike’s favorite low fat, soy-based foods, compiled with the aid of Beth Ginsberg, a grad of the Culinary Institute of America, gathered in The Taste for Living World Cookbook. With its subtly delicious recipes, it’s a best buy. This entry was posted in Health, Lifestyle, People, Reflections and tagged Health, low fat diet, Mediterranean diet, Michael Milken, prostate cancer. Bookmark the permalink.